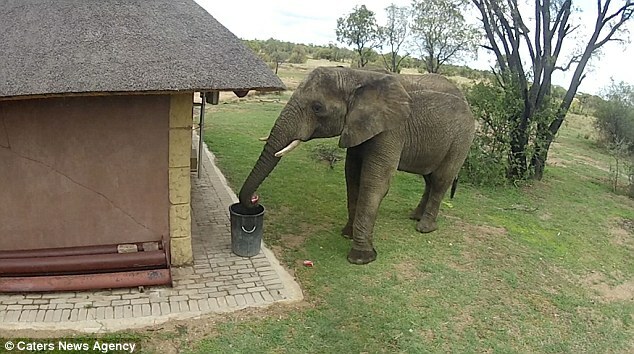 This elephant proves it's no litter bug after incredible footage showed it scooping up rubbish and putting it in the bin. It shows that flies aren't the only nuisance for the giant mammal, who decided to do its own bit for the environment. 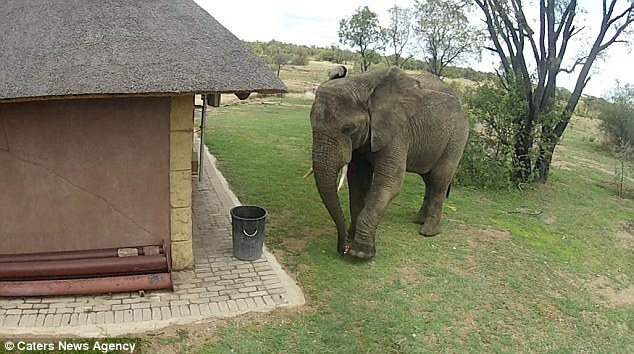 CCTV shows the elephant, wander through the back garden of a house in Greater Kruger national park, South Africa, before it spots some empty cans that have been left on the grass. 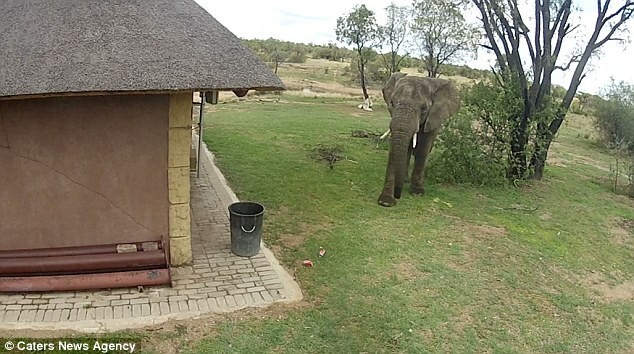 Russell Owen MacLaughlin, a photographer based in Hoedspruit, South Africa, captured the amazing moment after he set up CCTV cameras to see which wildlife visited the area. Russell said: 'The elephant just went and picked cans up to throw them in the bin. 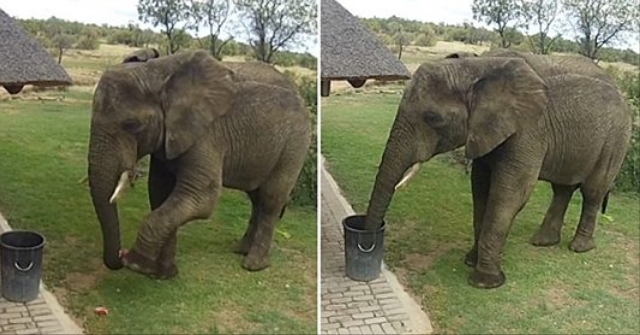 Responses to "Elephant Uses Trunk To Scoop Up Empty Cans On Grass"
She places the cans in as though they were eggs, very gently to the bottom. Cute.